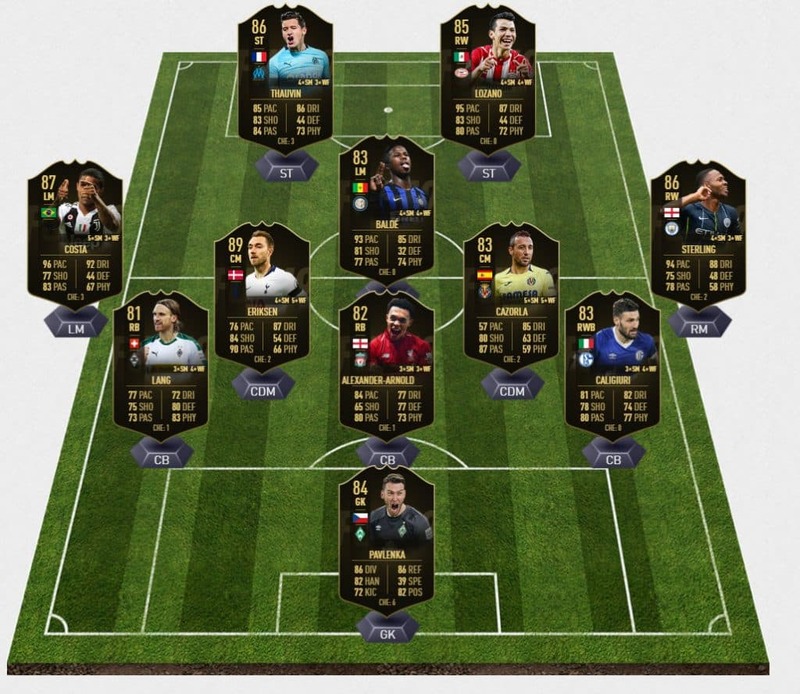 FIFA 19 UT Team of the Week 11 has been announced recently. Several interesting players found their place in this squad. There are some very known names like Eriksen, Sterling, Douglas Costa and Alexander-Arnold. Nevertheless, football fans are really happy because of one particular player. 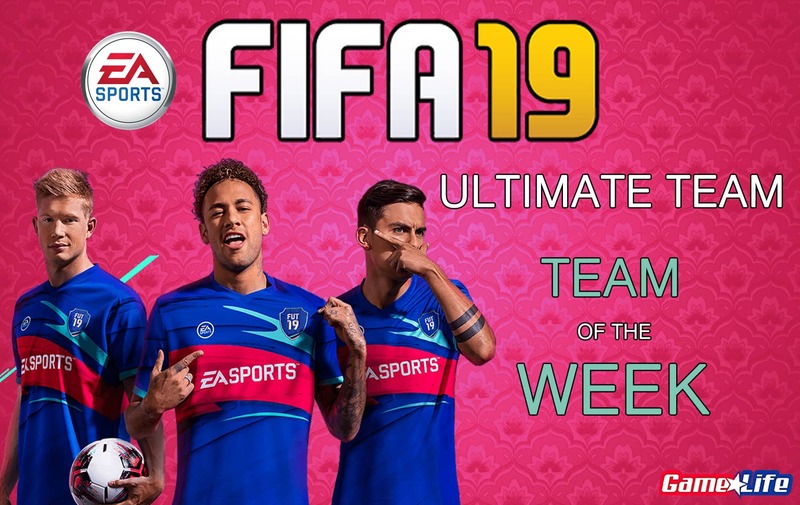 As the title suggests, Santi Cazorla is part of the FIFA 19 Team of the Week. Of course, that means that he performed so well in the previous week and that is very important for him, considering that he had huge problems with injury. Namely, he thought he wouldn’t play football anymore. Luckily for this little magician, he came back in action, so we can enjoy watching him in Villareal. He deflected everything that came to him. This outstanding goalkeeper made some magnificent saves last Sunday against Freiburg. One of these saves was the one he made when Pascal Stenzel fired a rocket to the goal. Pavlenka did phenomenally in order to keep net untouched. Freiburg indeed scored a goal, but the player from the Czech Republic couldn’t do much. Werder’s defender Moisander touched the ball with his hand, so referee pointed on the penalty spot. All in all, Pavlenka absolutely deserved to be part of this squad. His standard 80 rating improved for 3 rate points and now it is 83. The right-back of Schalke 04 played a very good game in Schalke’s victory against 1. FC Nürnberg. He was very dangerous during a whole game. Nürnberg’s left side had a problem to stop 30 years old Italian. His crossing skills are at a high level, and he proved it. Firstly, he assisted Burgstaller in the 70th minute to score. Afterward, he sent a good ball to Skrzybsky who set the score to 4:2. You can buy in-form Caligiuri for approx 20 000 coins. This young Liverpool’s right-back played a solid game and scored one beautiful goal from a freekick. His team beat Watford 3-0 and TAA helped the team to keep a clean sheet. Liverpool plays in Champions League in group C alongside PSG, Napoli, and Red Star. Unfortunately for this perspective player, Liverpool is struggling to reach Knock-Out Stage due to losing against PSG. Here is another right-back. EA Sport doesn’t really care about the formation, does it? Borrusia Möchengladbach scored 4 goals in convincing win versus Hanover. Michael Lang scored one of those goals. He also had even more opportunities to score. Apparently, it is not his job. He played 7 games for Borrusia in Bundesliga, and this was his first goal. It is hard to pick one player from Man City as the crucial one, but Sterling just can’t stop scoring and assisting. Last weekend Englishman scored against West Ham and assisted Sane. Raheem has amazing statistic this season. He has 7 goals and 6 assists in 11 games. Doing that in the Premier League is not easy at all, and that shows us how much he is good. If you want to have Raheem in your FUT Squad, you need to apart from at least 160.000 coins. That’s how much in-form Sterling costs. I have already said a couple of things about Cazorla. Every football and FIFA fan know the painful story of this Spanish player. He was a very important player for Arsenal, but sadly he had some bad injury problems. After the break and treatment, he decided to get back in his former club Villareal this season. He helped his teammates to beat Betis, providing 2 assists. First one came after a corner kick, the second one was just amazing. That was his 3rd assist this season, and hopefully just one in a row. He has very weak stamina in FIFA 19, but he compensates that with amazing passing and dribbling skills. His overall rating jumped from 80 to 83. There is no need to talk about qualities of this Tottenham’s midfielder. His outstanding creative skills cost Chealse points in the derby last weekend. With two early assists, Eriksen discouraged Hazard & Company. Firstly, he sent a precise long ball to Dele Ali. Then he helped Kane to score another goal. You can buy Eriksen for “only” 350.000 – 360.000 coins. Brazilian left winger performed pretty well in last round of Seria A. His team beat SPAL with final result 2-0. He didn’t score any goal; he didn’t even have an assist, but he was a big problem for SPAL’s goalkeeper. His standard rating improved by 1. Keita demonstrated outstanding game versus Frosinone. Hi scored two goals and had one assist. This player is known for his pace and good attacking skills. He is a quite good player, and you can buy in-form Keita FUT card for 27.000, which not so much comparing it to other players. PSV’s attacker done the same thing as Keita. He scored 2 goals and assisted de Jong against Heerenveen. He is very good for fast FUT Squads. His overall rating improved from starting 80 to 85. Florian Thauvin scored a hattrick against Amiens. Not only that he was effective, but his goals were phenomenal especially the first two goals. Thauvin scored incredible 10 goals this season and he keeps scoring. If you were looking for a fast and agile player, Thauvin should be on top of your choices list.